It’s the Open Chord Record Swap Meet! For one day only we are creating a space for all vinyl lovers to enjoy. 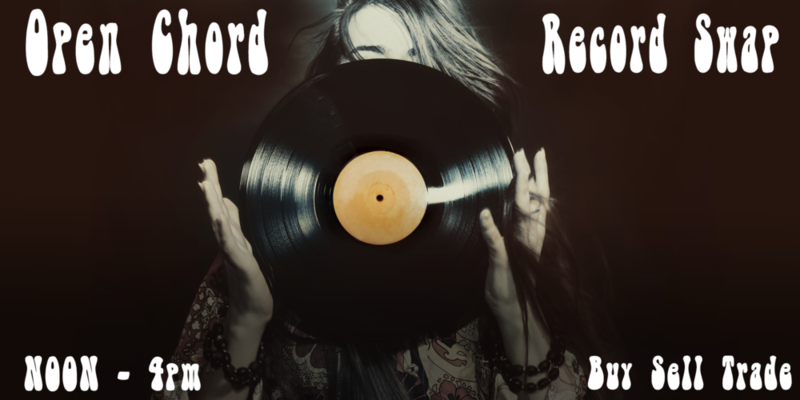 Whether you are a full fledge vendor, casual seller, or buyer, the Open Chord Record Swap Meet has something for you! We decided not to take a vendor fee for any sellers, so ANYONE can come and buy/sell/trade! COME GETCHA VINYL ON!!! Food and Drinks will be available at the café all day long!